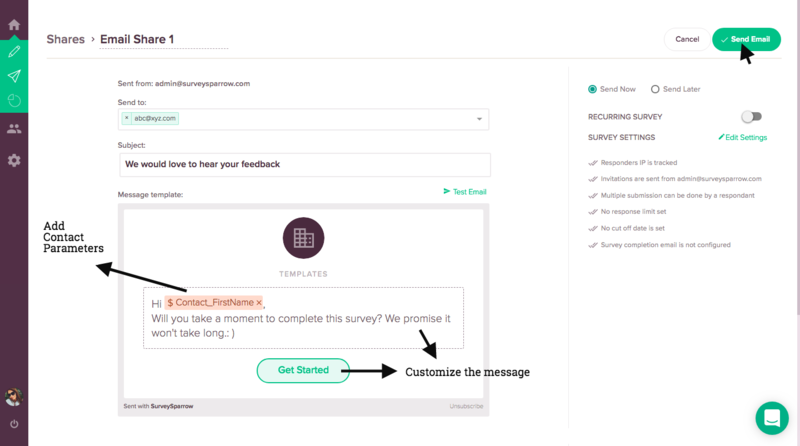 You can customize the display message while sharing your survey via email. Thus you can enter your custom message which would be shown to your audience as they open the email. You can make the message more friendly by making use of Contact Parameters. Please note that this feature is available in the Premium plan. 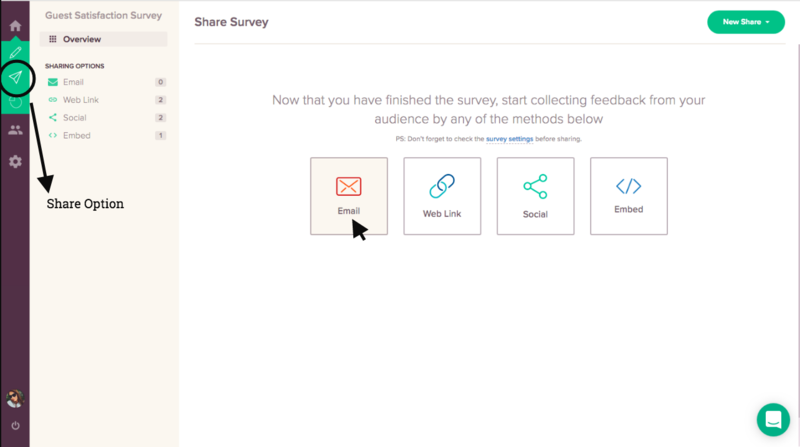 Choose the Email option in the Share survey Page. 2. You will be redirected to email share page where you can alter the display message. Once you complete all the email settings, click on the Send Email icon.